Confession: I struggle with snack time. Not having a snack itself, but finding a healthy snack for my boys and myself. I want something quick and easy, yet something flavorful and healthy. Fruit can get monotonous and veggies are great, but it can be really hard to make yourself reach for a carrot stick. 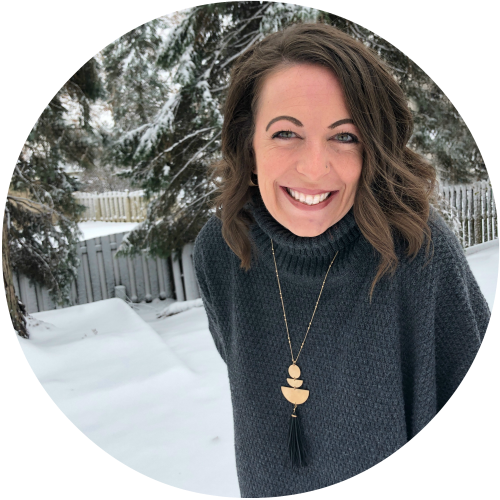 Looking for a list of healthy snacks on-the-go, I chose some of our family favorites and asked some blogger friends to share some of their best recipes. The result is pretty tasty! Yogurt is always a good choice for snacks or a meal. However, this one makes the top of my list because… it’s portable, delicious, healthy, and did I mention it’s a great grab & go choice?! 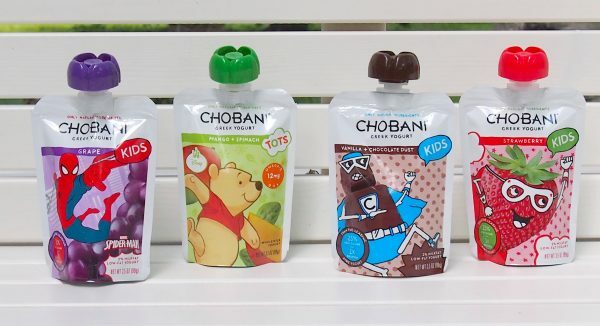 When Chobani came to me asking our family to try out their new kid’s line, I couldn’t imagine what would be so different than their regular yogurt that we always have stock of in our fridge. Maybe it’s the superhero theme that packed a punch. Maybe it was the idea of yogurt in a pouch. Whatever it was, I’m not sure who was more excited… me or my boys. Then came the taste test: Grape, Strawberry, Vanilla with Chocolate Dust, and the Tots Mango Spinach. ALL of them were a hit. My oldest told me several times how much he “reeeeaaaally liked the grape one” and they all agreed that the vanilla tasted like ice cream. In fact, they were so tickled about their new “snack” the boys had one with breakfast and again in the van on the way to Grandma & Grandpa’s house. Another perk… the Tot Mango Spinach gets some extra veggies in my picky little eater! He sucked that pouch dry in seconds! Thank you, Chobani. I have to admit that I tried all the flavors and they truly are good! 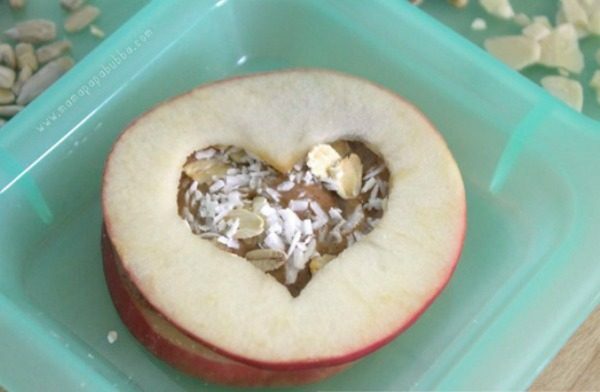 You’ll be happy to give your little superhero this naturally delicious food! Goodness, gracious great balls of… chocolate and nuts! Recipes for these delicious bites are popping up all over the internet. 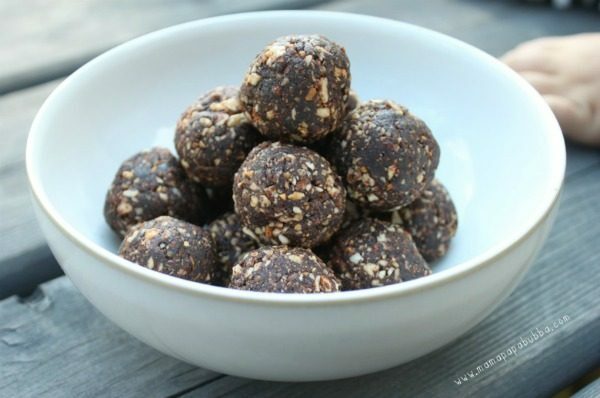 Sometimes called Energy Balls, sometimes called by their ingredients, one thing is common… these balls roll up both taste, protein, and sweetness into one healthy treat. I couldn’t pick just one to feature so pick your favorite and roll with it! I heart these cute and fruity Apple Sandwiches from Mama.Papa.Bubba! They’re tasty, healthy, fun and great on-the-go! Cheerios, Cranberries, and Chocolate, oh my! 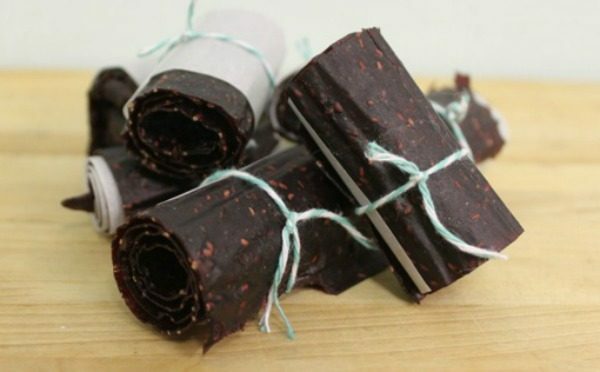 I do have to toot my own horn with this fantastic snack… Chocolate Cranberry Cheerio Bars. 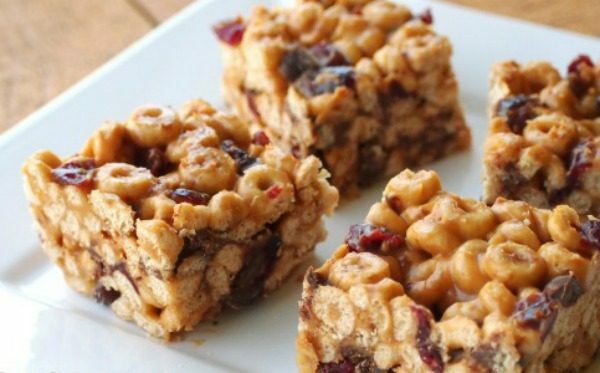 Thanks to my hubby’s craving for peanut butter Cheerio bars, we combined it and some of our favorite snacks into one delicious bar. Taking only minutes to make, a pan of these bad boys will keep your kiddos munching for days! Master the art of make-your-own trail mix with Childhood 101’s helpful list of fabulous foods to include in your next trail mix. 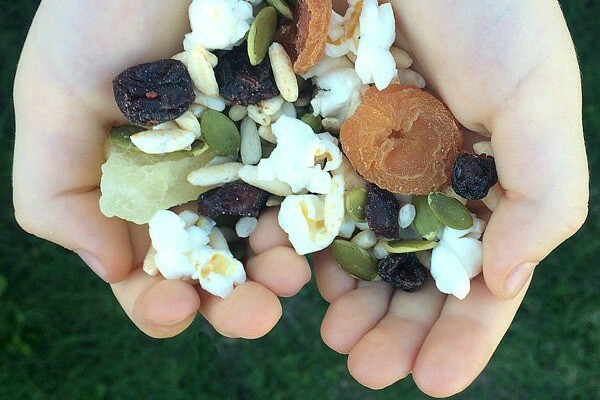 Whether you let your kids customize their own or try something new in each batch, trail mix is now mixin’ it up! Apple Pear Carrot Fruit Leather… Wow! This one even sneaks in veggies! I wanted to lick the computer when I saw Meaningful Mama’s Homemade Cranberry, Quinoa & White Chocolate Granola Bars! 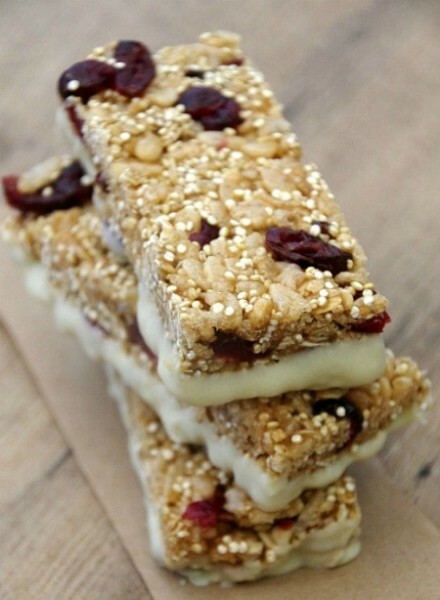 Granola bars are a great grab and go snack! I especially love the twist of adding quinoa! You’ll want to hurry to the kitchen and get bustin’ on these bars! 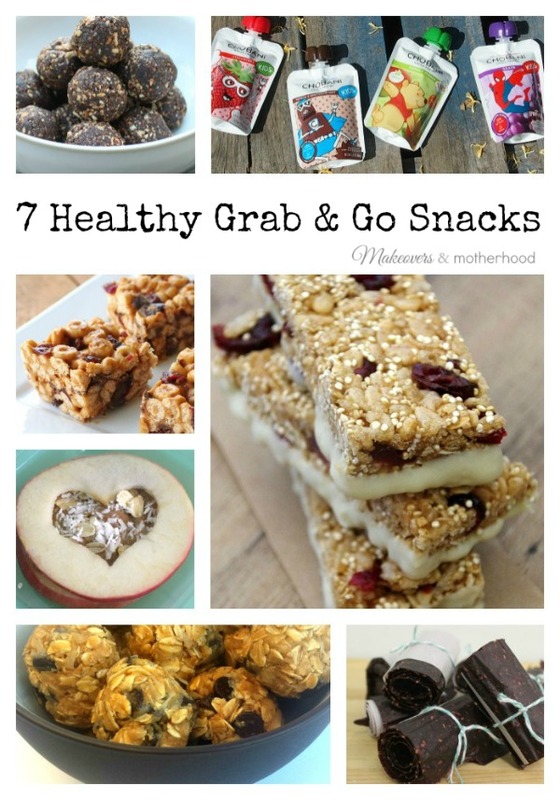 Hope these grab & go snacks help spruce up snack time at your home!